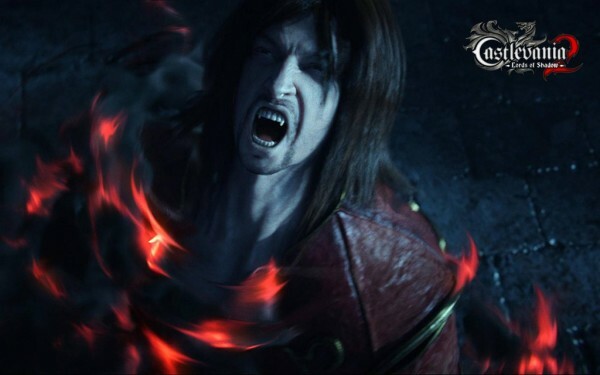 It’s been all too quiet about Konami’s Castlevania: Lords of Shadow 2 since its unveil at last year’s Video Game Awards. Literally no new information has been shot out until a new gameplay preview has resurfaced. Gematsu has gone into more detail with how Gabriel has changed since his transformation into something very Dracula-related. His thirst for blood is paramount in combat with the traditional Combat Cross replaced with the Blood Whip. Instead of a magic meter, you’ll have a meter for blood that you’ll add to by doing damage with your whip. You’ll also have a ‘Focus’ gauge that fills up the more evasive you are dodging enemy attacks. Fill it up and you’ll be adding more and more blood but get hit once and it’s automatically depleted. With raw blood, you can power up two separate weapons: Void and Chaos. Void give you the Void Sword which allows you to gain health with each hit. Chaos gives you a set of claws that’ll break through shields. Not to mention you’ll have full camera control, bosses that will have more variety to them and a seamless world to explore. Sounds like a pretty radical Castlevania game but will Alucard show up? Will Gabriel become Dracula entirely? Let’s speculate in the comments or post about your favourite Castlevania in the forums.